Is Uganda your dream safari destination in Africa? Are you looking for the best safari company to book your next vacation in Uganda or any East Africa and you do not know how to find one? With over 600 tour companies that exist in Uganda, choosing the best travel company/tour operator that suits within your travel interests and budget leaves most travellers puzzled in life. Worse of it all, most of these travel companies are or they are not even registered with Association of Uganda Tour Operators (AUTO) something that also puts you at a risk of dealing with unrecognised travel agency if you are not very keen enough. AUTO is the prime tourism trade association which governs all the interests of the key and professional tour operators in Uganda while maintaining the good reputation of the country as safari destination. At the end, the overall motive of this association focuses on building confidence between the visitors and the tour operator or agent. Whereas countless travel companies are ever cropping up within this spectacular country, a handful of them operate legally and others may have negative reviews especially on the platforms like safari booking or trip advisor. All these factors make the whole process for one to find the best and trust worthy Travel Company to book with very challenging not only in Uganda but in most safari destinations. 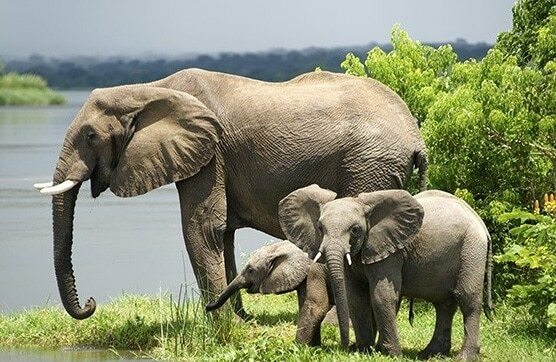 For visitors who are planning to spend their next safari holidays in Uganda specifically, it is advisable that before making up your mind to deal with any travel company, ensure that the tour company that you intend to book with is fully registered under Association of Uganda Tour Operators. In order for you to find out that such a travel company subscribes to AUTO is by visiting the association’s website where most of those that are registered are listed and this will help you prove if really those that display themselves on facebook and other social media are truly the leading or trust worthy travel agencies that you can opt to deal to with while on your vacation in Uganda. Usually, the leading and the most popular travel companies begin safari business and their sites takes longer period of time. You will find most of them with AUTO logo however, don’t stop at the looking at the logo alone and check if it has the AUTO website. Interestingly, AUTO members in most cases help travellers to save some money with especially if a visitor dealt with a registered Uganda travel agent/company rather than a foreign based company. Before booking with a given tour company, we advise you to always cross check if the company is a licensed tour operator. Bear in mind that there are over 6oo travel companies that are operating within Uganda and usually they offer related travel services but not more than 200 of them are fully recognised as AUTO members. This denotes that majority of them are just anonymous companies and they display logos of Uganda’s leading organs boasting to be part of that organisation for instance Uganda Wildlife Authority (UWA), Uganda Tourism Board (UTB) and others. The interesting part of it is that UWA, AUTO and UTB work together to market for instance gorilla permits and many tourism products in the country. Before booking with any travel company, you need to find out if that tour company is reputable enough to deal with. Visit the company’s site and check what they are provide or if they offer value added services and useful content and everything that is required while you are on safari. The key areas for you to check include about us (travel company), the physical address, contact us and most importantly spend some time and read at least a blog on their website and check if it is really authentic material as well as social media pages especially face book and others to find out if what they always post is based on the current affairs. The travel company that you will opt to deal with should also be realistic about trip advisor and other forums where most reviews and people’s recommendations are always displayed. By checking other traveler’s reviews or what trip advisor has written about the same company offers you opportunity to understand how the previous visitors enjoyed their vacation whether the experience was positive or negative. A reputable travel company provides visitors with clear travel plans and services. When it comes to safaris to any destination, there is no one who actually deserves or wants to be delayed. This calls for tour operators to ensure that there is effective communication between the company and the visitor especially when it comes to feedbacks. Usually, first time travellers on safari to Africa tend to raise so many questions about the safari lodges and accommodation facilities at the destination, tour activities, destination to be visited and the company’s services/offers all of which require prompt replies. 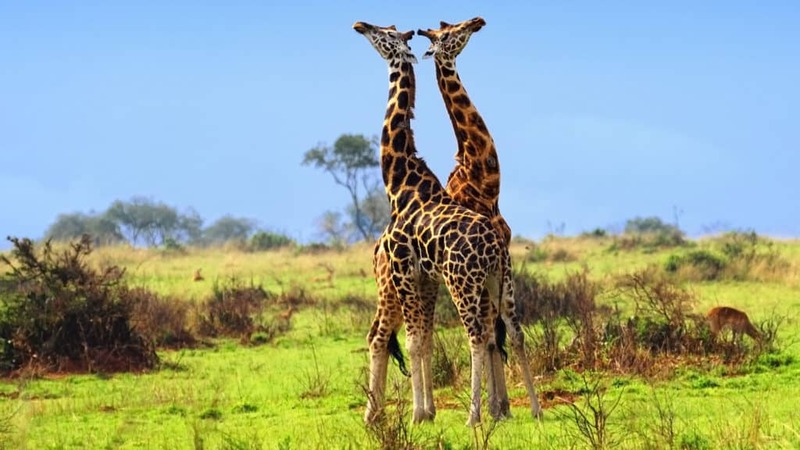 While choosing the best travel company to book your trip with in Uganda, you will need that travel company that answers visitors’ questions as soon as possible and at end of it all; you will have adequate time to plan and make better decisions that will make you have the most successful and memorable safari holiday in Africa. Usually, most tour companies concentrate on selling their trips and pay less attention in maintaining communication between them and their clients. Like any safari destination, each travel company has its own set prices and so it is the case in Uganda. Prices differ from one Tour Company to another and for you to choose the best travel company to deal with, there is need for you to make adequate research and make comparisons then weigh the options and find out which travel company provides the best costs that suit within your travel interests and budget. Also be keen on the hidden prices that most companies usually do not include or disclose to you and they only surprise you when you are booking. Usually, majority of these companies tend to brand their safaris as all inclusive and yet this may not be true when you at the destination where you most of them indicate all meals included, you may end up only getting breakfast. Note that additional entry costs, activities, transport costs, lunch and dinner add up to your budget or the cost of safari. You therefore need that tour company that offers value for money and avoid looking at the cost. The travel company can be offering expensive safaris and yet in reality you won’t realise value for your money something that may bring regrets while you are at a destination. But again do not book with a company because it is cheap, note that cheap things are at times expensive! As well, the cost of the price may also depend on how many people are traveling. If you are planning to travel in a group, you need to know which company is best for you. This will help you understand which means of transport to use. If you are traveling in a big group, you will need bus or coaster. After you have chosen a travel company of your choice and you are done with the rest of the required steps, the next thing for you to arrange payment for your safari. The mode of payment differs from company to company but usually, majority may require you to make payment through the bank. However, this system also requires you to be very keen otherwise you may end up transferring money to different account and it becomes very challenging for you to recover your money. For any money transfer, a travel company will give its bank details and when you are making payments, make sure that you have entered the right figures. The account that will be given to you should be a business account and not someone’s personal account. Most travel companies also use online system for their clients to make payments especially PayPal and PesaPal, however, before effecting any transactions, inquire from the travel company on which means of payment they recommend their clients. Others also accept MasterCard or Visa but never send credit cards details to a tour agent via email. The other option is payment by cash. While choosing for the best travel company, make sure that the company that you opt to deal with is knowledgeable about the destination and they have experience on what they offer. You may not even have any need of looking at the age of the tour company a fact that majority of newly established companies could have worked with most of the travel companies in the related field and have broken away to start their own companies. Usually, new companies provide exceptional experience as they always wish to offer the best to their clients compared to those companies that existed before that have a feeling that they achieved their goals. In conclusion, there are various factors that you must put into consideration when choosing the best travel company to deal with if you are planning to have your next vacation in Uganda and Africa at large. With the above tips, we believe that you will be in position to select the best safari company that meets your travel interests and budget and at the end, allows you have the most enjoyable and memorable safari in your life.